I feel trapped in addiction. How do I escape this nightmare? In simple terms, by thinking differently. Of course this means you need the information to think differently and make the mental change to no longer see yourself in the addict or alcoholic roles. 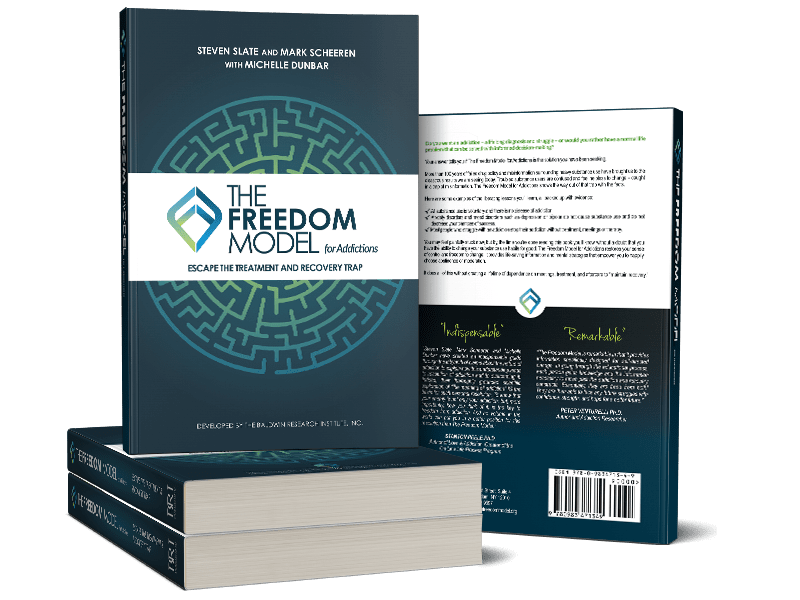 The entire book, The Freedom Model for Addictions, is dedicated to the facts to reject those harmful labels/roles. Here is a brief passage from the text that describes your situation and the first step in moving out of the addiction and recovery trap. “Likewise, to be in the addict role, some people need to see the substance user as helpless, and the substance user needs to agree to see himself as helpless too and less than those other people. It’s easy to take on this role because so many people see substance users this way, suggest this to them, and try to tell them who they are and how they should think and behave. Regardless of whether other people see you as an addict, you can reject this role. It may cause problems in some social interactions, but you don’t have to play along. Substance use can be very problematic. It can be dangerous and even fatal, but it’s never involuntary. You have learned to see it this way by various processes, some of which are obvious, and some of which are subtle. The result of this learning is that you interpret your preference for substance use as an addiction: an involuntary compulsion. Since your feelings come from your interpretations of things, this interpretation makes you feel powerless and addicted. It is a very real feeling. It is a painful and terrifying feeling. But you aren’t truly powerless, and you aren’t truly addicted. You would never have felt this way if you hadn’t learned to see things this way. The good news is this can be reversed by learning the truth.